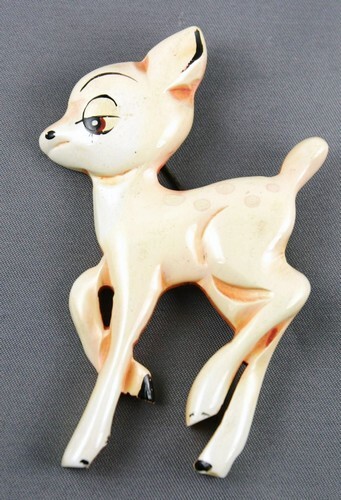 Bambi Bakelite pin measuring about 3 1/2 inches high. This vintage item (probably dating to the 1940's) is in very good shape for its age. Overall, but even, wear to brown paint (see pictures). The movie Bambi was released in 1942 and became an instant classic. Now this vintage remembrance can be yours.